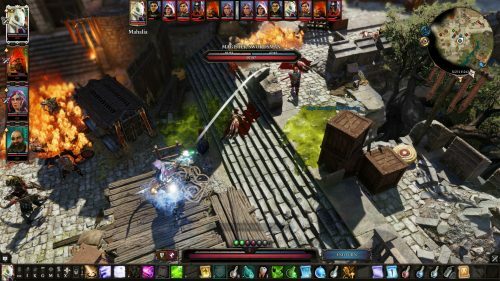 Many consider Divinity: Original Sin 2 to be one of the best classic RPGs available on the PC market. With a cast of interesting characters, a lively world to explore, strong narrative and engaging gameplay, the game was a hit. Much like its predecessor, it has now received a Definitive Edition treatment which brings several enhancements to the experience. The developers have also taken the opportunity to release the game on home consoles, giving console gamers the chance to see what they have been missing out on. 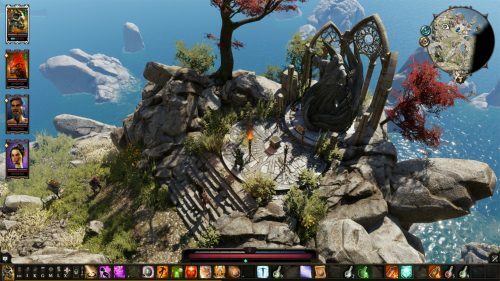 Divinity: Original Sin 2 is set a thousand years after the first game in the fictional land of Rivellon. In this world there is a mysterious power known as the Source, which Sourcerers tap into to perform feats of magic and enhance their combat abilities. However, monsters known as the Voidwoken are attracted to Source, causing Sourcerers to be frowned upon in the current age. The game begins with players sailing towards a prison island called Fort Joy, where the Source powers of Sourcerers are being forcefully purged in a mysterious ritual. Following a dramatic shipwreck, players find themselves trapped on the island and must look for an escape route. This summary doesn’t quite do justice to the overarching plot as there are twists and turns, trickles of black comedy, several locations to explore and a fantastic lore which supports the core story. I’ll leave it there to keep this review spoiler free. What truly shines in Divinity: Original Sin 2 are the characters in its world. Before starting the game, players can choose from a selection of Origin characters who each have their own backstories. To name a few there’s the Red Prince who is a male Lizard that has been exiled from his royal heritage, Fane who is an Undead male seeking the lost history of his ancient culture and Sebille, a female Elf who is a skilled assassin looking for revenge after being forced to kill her own kin. If one of the six Origin characters doesn’t appeal to you, you can also create your own and assign their class, race, visual appearance and various base attributes and stats. An advantage of playing as an Origin character however, are the unique interactions with NPCs that are tailored to their backstories. For example, one NPC reacted in fear when she recognised me as a famed outlaw and it opened some unique dialog options. It’s a nice touch as it makes your character selection feel more meaningful and also makes the world more connected. Players are encouraged to explore the environment fully, talking to every NPC and open every crate and barrel they come across. You never know when you’ll encounter an interesting tidbit of lore, a side quest or find a useful item stashed away; the amount content to uncover is simply astonishing. However, at times it can also become overwhelming. 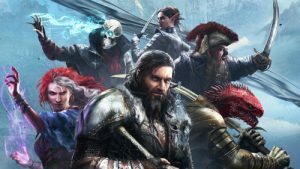 Divinity: Original Sin 2 doesn’t hold the player’s hand in terms of pointing out how to progress, instead players will need to complete seemingly random quests until they find the right one which leads them to their ultimate objective. Sometimes quests can seem completely irrelevant, only for an NPC to have that tiny bit of info which points you down the right path. It’s twofold as some players will lap up having so many activities to complete, but others (particularly if you’re not used to classic RPGs) will become inundated and may lose interest. Combat is turn based, with players encouraged to exploit the environment and combine their party’s abilities. For example, if enemy units are standing in water an electrical attack aimed at one enemy will chain and damage the other units. Or in the case of party members working together, you might have a mage character who summons a boulder which not only damages the enemy but also spills oil onto the ground. A second character can then unleash a fire attack to cause a powerful explosion and a temporary burn status effect. You also have a range of other tactics to take advantage of including team healers, melee and long-ranged focused party members and characters who can boost armour. 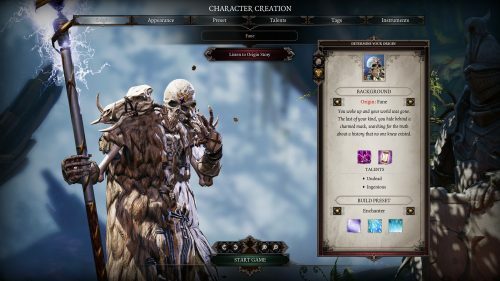 Divinity: Original Sin 2 gets particularly challenging during the later parts of the game, with there being multiple enemies in each battle, each with boosted health and combat abilities. Those who rush in without a plan will easily be wiped out, but players who slow down and plan out their strategy will bathe in victory. The strategic gameplay is highly appealing and has been integrated well into the experience. 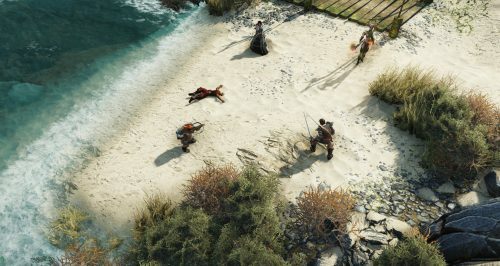 Divinity: Original Sin 2 supports local splitscreen multiplayer for up to two players, as well as 4 player online co-op. Thanks to the campaign being designed to play solo or with a party of up to 4 characters, this means players can separate into their own teams to tackle different quests at the same time. It’s good game design as you’re not forcing players to follow the main host, for example. When playing the game alone you can even split your party up to tackle quests individually and switch between party members with a quick click of a button. You’re probably wondering how the game transitions onto a console given most classic RPGs are designed with only keyboard and mouse controls in mind. Thankfully, developer Larian has done a great job of mapping controls to a standard controller. On the PS4 (the version reviewed), spells and attacks can be selected using the bumper buttons, and the party member selection screen is accessed with the right trigger button. Actions are selected using the face buttons. The controls do take some getting used to but for the most part they work seamlessly. Keyboard and mouse controls are still largely preferred as it’s easier to navigate the cursor during battle and in general things fill just that little bit tighter, but if you’re lacking a suitable PC then the console version is a great alternative. The Definitive Edition includes a number of enhancements over the original PC release. Firstly, menus and journal entries have been tweaked for easier navigation and the game’s physics engine has been optimised, so PC players will notice overall higher frame rates and smoother gameplay. There are also several gameplay tweaks and rebalances. The ship at the start of the game has a second deck, complete with more tutorials and a better introduction to the gameplay mechanics. Party members’ inventories are now displayed side-by-side, allowing for easier item management. Also, the final act of the game has been rewritten. Having never played the original release I can’t comment on the exact changes to the ending, but a whopping 250,000 words have been re-recorded so it will warrant a return if you have already completed the game. Finally, there’s a new Story difficulty setting which winds the challenge back for players who aren’t as familiar with the classic RPG genre. 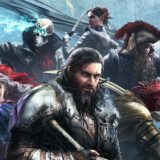 Players who purchased the original Divinity: Original Sin 2 are entitled to a free upgrade to the Definitive Edition, which is certainly a nice perk for early supporters. Divinity: Original Sin 2 Definitive Edition is one of, if not the best classic RPG available on consoles and PCs alike. The game is rich with fascinating characters, strong lore and engaging strategic turn-based battles. The Definitive Edition brings several tweaks and changes to the experience, including a rewritten final chapter and various performance improvements. The new Story difficulty also makes the game friendly for newcomers to the genre. This is definitely a title worth adding to your collection.